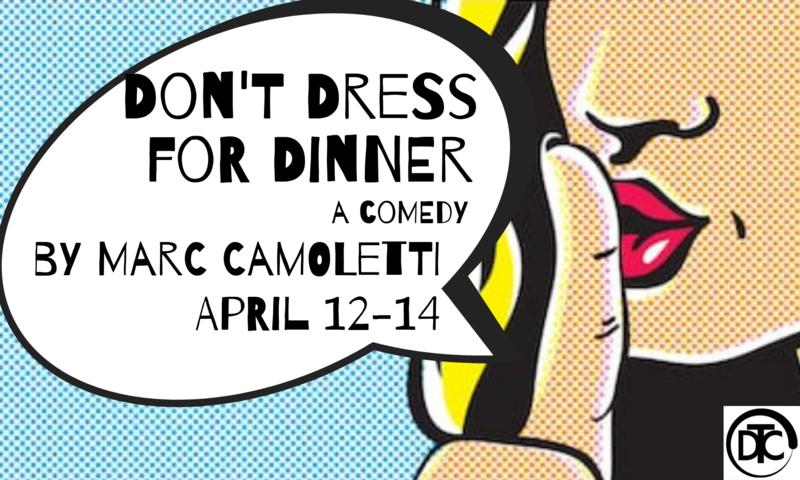 Join Dunstable Theater Collaborative for a wild comedic ride in their production of Don’t Dress for Dinner, a farce by Marc Camoletti. Synopsis – With his wife out of town, an alibi from his best friend, and a gourmet chef to add culinary spice, Bernard has the perfect romantic evening planned for his French mistress — or so he thinks. 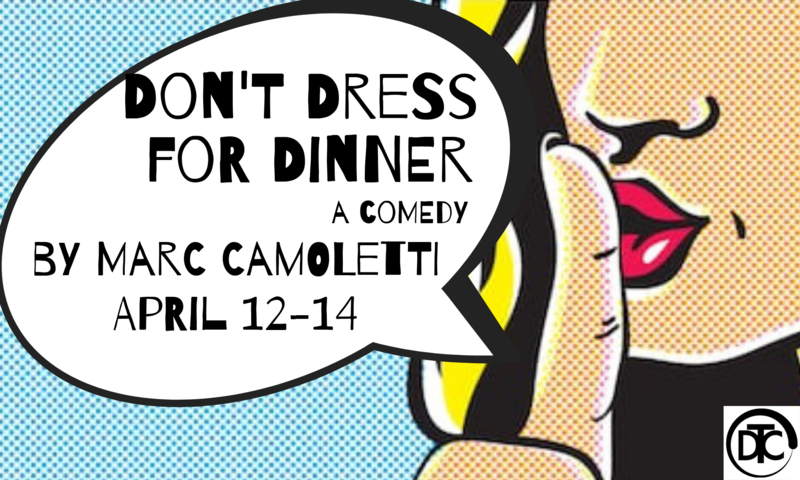 Hidden identities and outrageous infidelities are exposed in Marc Camoletti’s hilarious comedy. Join us for this very funny show – 3 performances only! – April 12 & 13 at 7:30 pm – April 14 at 3:00 pm – Dunstable Town Hall, 511 Main St, Dunstable. Directed by Christina Chadzynski.